(CNN) – While many Republicans have already diagnosed their party's problems after the presidential loss earlier this month, the chairman of the Republican National Committee is saying not so fast. "I don't think you can draw any quick conclusions other than the fact that we lost and we know that," Reince Priebus said Tuesday on CNN's "Piers Morgan Tonight," the chairman's first television interview since the election. "But in order to get back in the game, you've got to look at and do a full autopsy of what happened." 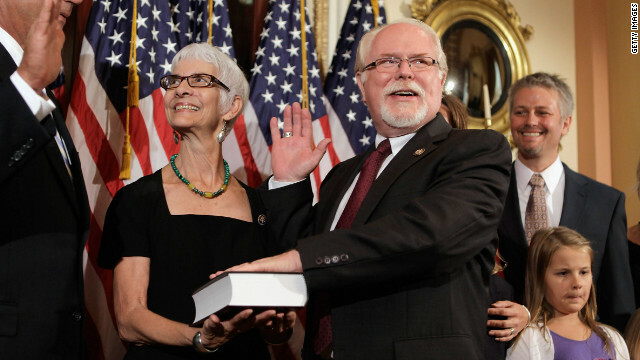 (CNN) – Democratic Rep. Ron Barber of Arizona was released from a hospital Tuesday after undergoing "minor surgery" to remove a cancerous tumor from his tongue, his office announced. "He is expected to make a full recovery," Barber's doctor, Audrey Erman, said in a statement. The surgery successfully removed the tumor, which his office said Barber learned about on November 13. (CNN) - Reince Priebus, chairman of the Republican National Committee, announced Tuesday the party will holds its annual winter meeting in Charlotte, North Carolina, the same city where Democrats gathered for their national convention in September. 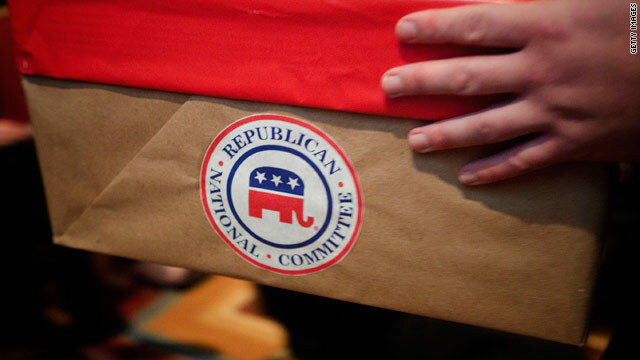 At the RNC meeting in January, the group will vote on the chairmanship position. Priebus has told members he intends to run for another term, and sources say he will likely win re-election despite the party's losses this cycle. 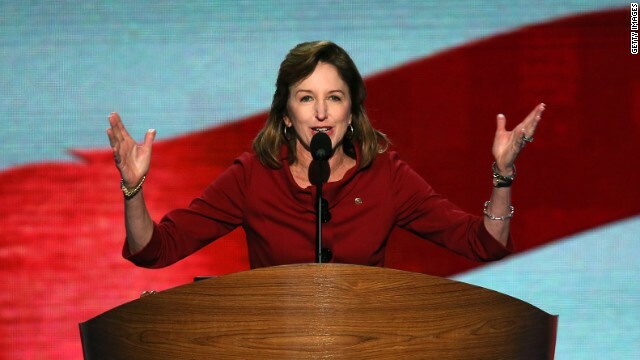 (CNN) - Sen. Kay Hagan of North Carolina said she plans to seek a second term in 2014, her office confirmed Tuesday. Known as a centrist, Hagan is considered one of the most vulnerable Democrats who'll be defending a Senate seat in two years. CNN's GUT CHECK | for November 27, 2012 | 5 p.m.
(CNN) - Sen. Kelly Ayotte, one of the Republicans harshly critical of Ambassador Susan Rice, described Rice's initial characterization of the September 11, 2012 attack on the U.S. consulate in Benghazi, Libya as misleading, but stopped short of calling the remarks intentionally so. "Certainly she misled the American public," Ayotte said in an interview Tuesday on CNN's "Anderson Cooper 360." "I think that she would say that. She'd have to say that because she began our meeting today admitting that the representations about the video and the protests were wrong, and the impression left [for] the American people was misleading." Washington (CNN) - At one time, Susan Rice seemed to be on a trajectory that would take her to the secretary of state's office in President Barack Obama's second term. But the confusing timeline that she and the Obama administration have offered around the deadly September attack on the U.S. diplomatic mission in Benghazi, Libya, might have altered that political course, begun years ago with the help of a powerful family friend. Washington (CNN) - As President Obama kicks off a series of events and meetings this week to pressure Congressional Republicans to reach a deal to avert the fiscal cliff, top House GOP leaders are planning their own public campaign to frame Democrats as the ones who are unwilling to budge. House Speaker John Boehner's office announced Tuesday that leaders and rank and file Republicans will roll out a series of events in Washington and in their districts across the country with small business owners to frame Democrats demands to oppose upper income tax cuts as a threat to new jobs. (CNN) - Sen. Rand Paul of Kentucky, who's known for his libertarian leanings, cautioned Tuesday that the Republican Party could meet the same fate as animals that went extinct millions of years ago. 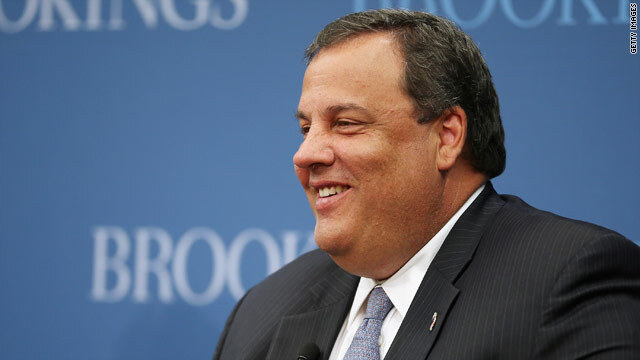 "I think my party, the Republican Party, is shrinking. We're in danger of becoming a dinosaur," he said on CNN's "Newsroom." "We're not competitive on the West Coast, we're not competitive in New England."